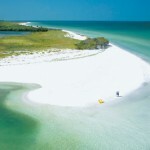 T he natural unspoiled environment known as “Florida’s Forgotten Coast,” which includes the quiet coastal communities of Apalachicola, St. George Island, Mexico Beach, Cape San Blas, and Carabelle, offers a unique look into the rich traditions of Florida’s Gulf Coast. 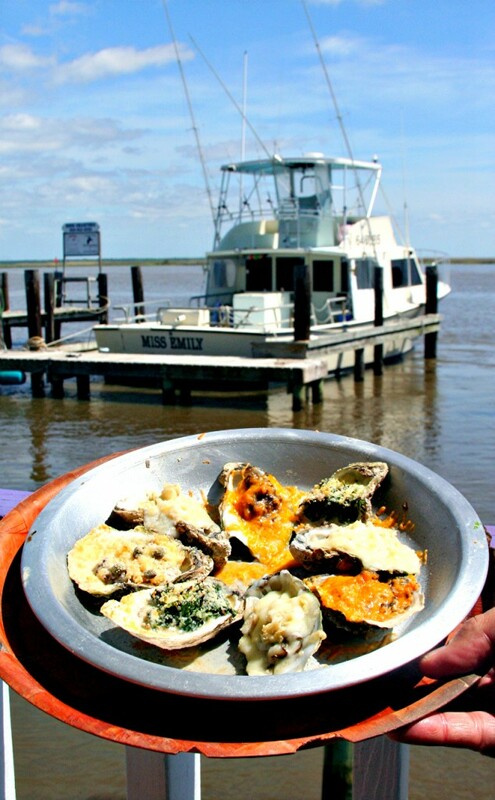 This colorful area is best known for its excellent oysters, superb fishing, and mouth-watering seafood, but there is much more to this charming region surrounding Apalachicola Bay than the fishing and seafood industries. Life always seems to run at a slower pace around here than in the rest of the world, and judging by all appearances, that’s just fine with the locals and visitors alike. 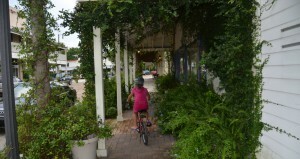 Sidewalks line the streets in the shopping district in Apalachicola. The area features eclectic shops, art galleries, and a wide mix of restaurants sure to please any visitor. The bustling town of Apalachicola dates back to 1831 and was originally a hub in the booming cotton trade, which is still evidenced by its wide streets and brick warehouses that were designed to accommodate cotton after it was unloaded at the docks. 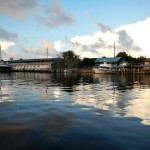 Today, Apalachicola is truly a Gulf Coast traveler’s dream and boasts a burgeoning collection of charming hotels, acclaimed restaurants, and trendy gift shops. Visitors to “Apalach,” as this delightful town is more commonly referred to by its residents, can take a walking tour of the historic downtown area, line up a fishing guide, sailing charter, diving trip, or eco tour, and still have time left over to take a sunset cruise. A little known fact about Apalachicola is that the John Gorrie Museum houses the first ice machine designed by local physician John Gorrie way back in 1851 to treat yellow fever patients, which was the predecessor to modern air conditioning. While you’re here, also be sure to visit the Apalachicola Museum of Art, Maritime Museum, Chapman Botanical Garden, Dixie Theatre, Lafayette and Battery Parks, Trinity Episcopal Church, and Cape St. George Lighthouse out on St. George Island. For nature lovers, there are miles of uncrowded beaches, protected bays, and State and National forests to explore. You’ll definitely want to check out St. George Island State Park, St. Joseph Peninsula State Park, Tate’s Hell State Forest, and St. Vincent National Wildlife Refuge. 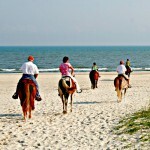 St. Vincent Island is an uninhabited barrier island at the west end of Apalachicola Bay that is accessible only by boat (visitors can take a shuttle, which departs and returns daily from nearby Indian Pass). The island features a unique wildlife habitat that includes the endangered red wolf, the exotic sambar deer that were imported from Southeast Asia in 1908, and 260 species of birds. Tate’s Hell State Forest, located at the other end of the bay beyond Eastpoint, offers visitors thousands of acres for hiking, biking, canoeing, and nature viewing. 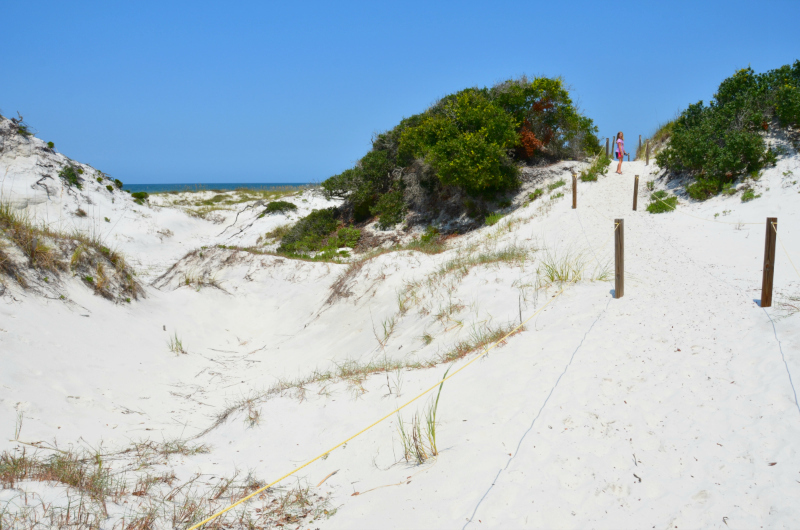 Both the St. George Island and St. Joe State Parks have miles of beautiful white sand beaches, majestic dunes, and salt marshes with abundant opportunities for walking, birding, camping, swimming and snorkeling. One of the highlights in Apalachicola every year is the annual Florida Seafood Festival, which is held in early November and offers arts, crafts, and entertainment for the entire family. In addition to being the state’s oldest seafood festival, the Florida Seafood Festival features the annual crowning of Queen Retsyo, who is escorted ceremoniously down the Apalachicola River in a cabin cruiser befitting the occasion by a small flotilla of boats (in case you’re wondering the meaning of “Retsyo”, that’s O-Y-S-T-E-R spelled backward). The Florida Seafood Festival is the perfect opportunity for newcomers to get a flavor of the region and its people, not to mention a delicious sampling of the fresh local seafood, whether you like it broiled, grilled, or fried. 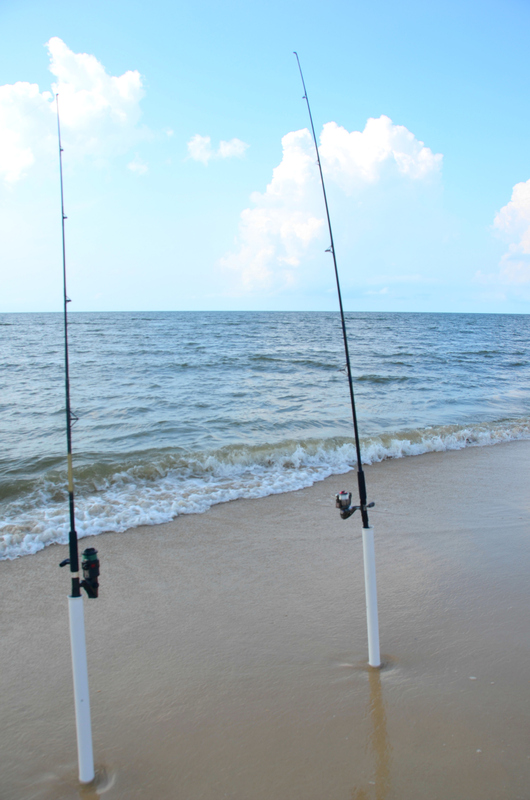 Surf fishing is a familiar site on St. George Island and other Forgotten Coast beaches. St. George Island, the other jewel on the “Forgotten Coast”, can be reached by taking Highway 98 east from Apalachicola over John Gorrie Bridge and then taking a right on Highway 300 in Eastpoint over newly renovated Bryant Patton Bridge (still referred to by the locals as “Two Dollar” Bridge since it used to be a toll road). When you first drive onto St. George Island, you’ll be transported to another world of natural beauty, seclusion, and simplicity. By all accounts, once you arrive on the island and get a feel for the place, it’s rather hard to make yourself leave. After all, you can find basically everything you need on the island, and if you can’t find it here, it’s probably not worth going back for anyway! Whether you decide to stay in Mexico Beach, Cape San Blas, Apalachicola, or St. George Island on your vacation, you’ll have a wide variety of beach houses, condominiums, hotels, and bed-and-breakfast inns from which to choose. 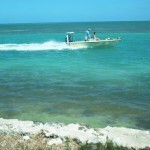 Check out these popular vacation rentals at Mexico Beach vacation rentals, Cape San Blas vacation rentals, Apalachicola vacation rentals, and St. George Island vacation rentals. Accommodations range from cozy beach cottages and rustic campgrounds to multi-story million-dollar beach houses with Mediterranean-style tile roofs, exhilarating views, and every modern convenience. Regardless of where you stay in this scenic coastal paradise, it’s a safe bet you’ll be back to experience the unique carefree joy of living that can be found on Florida’s beloved “Forgotten Coast”! 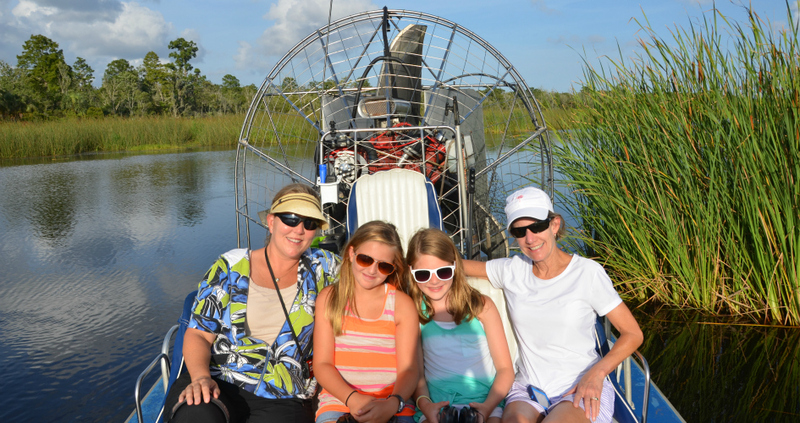 Air boat eco-tours are a fun way to explore Apalachicola.